By Karen French • June 8, 2016 | Category: pro tips. I found the info on http://12starsmedia.com/blog/embed-youtube-video-specific-start-time. It worked like a charm. To have an embedded YouTube video begin playing at a specific timestamp, first calculate the start point in total number of seconds (60 times the number of minutes plus the number of seconds), then do the same for the end point. 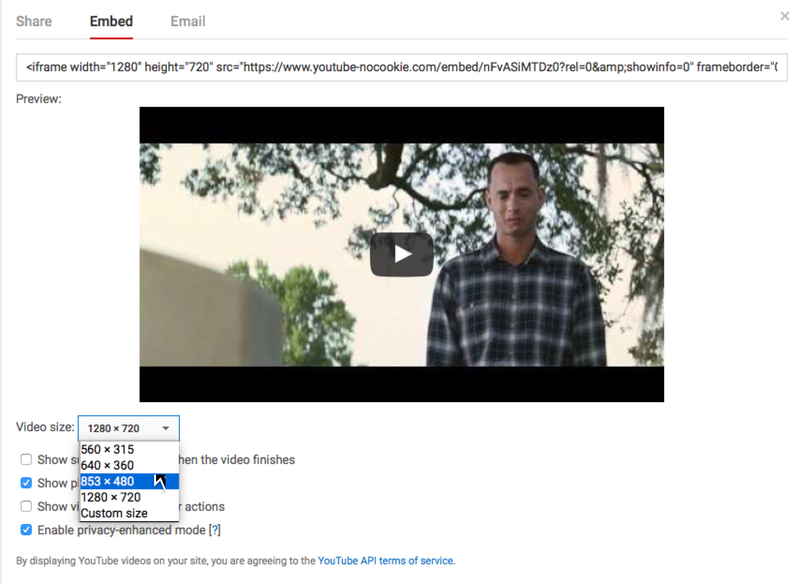 Grab the embed code from YouTube, by clicking on Share > Embed. To select the size of the video, click on Show More. Choose the preferred size and copy the embed code.